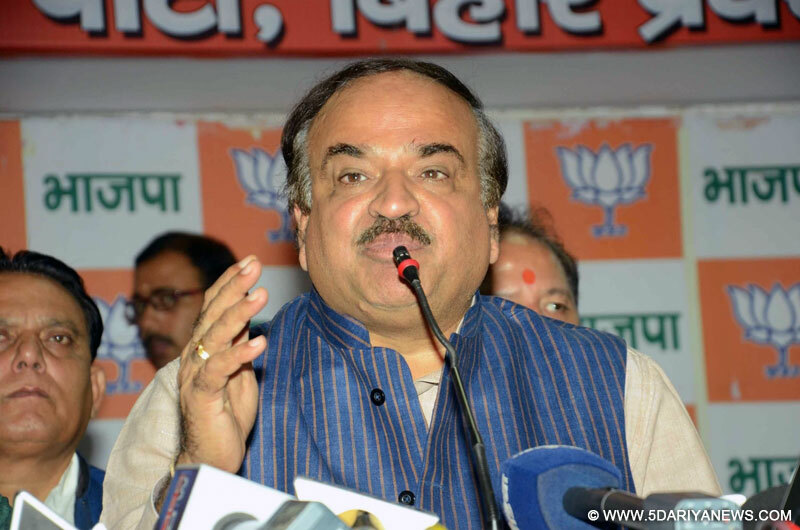 Parliamentary Affairs Ministers Ananth Kumar on Friday accused the Congress of doing injustice to the Muslim women by opposing the Triple Talaq Bill saying that they should learn from the past and let the legislation pass. "They are not thinking about ensuring justice to the Muslim sisters. They are doing injustice the same way they did in the Shah-Bano case," Kumar told reporters here in Parliament. Condemning the Congress's demand to refer the bill to the Select Committee, Kumar said: "Everyday they bring a new excuse and their demand to refer the bill to the Select Committee is just a trick to misguide all. I condemn this. "The Congress should learn from history and allow the Triple Talaq Bill to pass. "The BJP leader's remarks came as the deadlock over the bill in the Rajya Sabha continued on Thursday with the government rejecting the opposition's insistence on sending the bill to the Select Committee for detailed scrutiny.The government has decided to put the Muslim Women (Protection of Rights on Marriage) Bill, 2017, which seeks to criminalise instant divorce by uttering talaq thrice, for consideration on Friday -- the last day of the winter session. Ananth Kumar and Shri S.S.Ahluwalia take charge of Ministry of Parliamentary Affairs.